So You Have a Root Canal, Now What? Despite the age-old jokes and horror stories, root canals are not designed to give a patient severe pain, but to save a severely infected tooth. In fact, most root canals are relatively comfortable procedures and only require one or two visits to the dentist or endodontist (dentists who treat the inside of the tooth). Many patients who have undergone a root canal say the pain is no worse than a cavity filling, and we’ve seen some patients get so comfortable that they fall asleep in the middle of the procedure. A root canal is the treatment needed when bacteria infects the pulp deep inside of the root of the tooth, which usually occurs due to an injury, a chip or crack in the tooth, or a severe, untreated cavity. The root canal consists of creating an opening in the tooth to remove the infected pulp and sealing the tooth to prevent against future infection. Without proper treatment, a tooth can become damaged enough so that it has to be removed. While it is possible to not have symptoms associated with a root canal, most patients will experience some telling signs. Look for pain, prolonged sensitivity to heat or cold, tenderness to touch or when chewing, discoloration of the tooth, or swelling of lymph nodes and bone or gum tissue. Sometimes, a small, pimple-like bump will appear on the gums above or below the infected tooth. A root canal is a relatively inexpensive treatment option when compared to having the tooth removed and replaced with a dental implant. They typically cost around $650 for an incisor and $1000 for a molar. A root canal consists of removing the infected pulp from the tooth and then sealing it to protect against future infection. A dentist or endodontist will begin by administering a local anesthesia to numb the area and prevent pain during the procedure. A sheet of rubber, called a “rubber dam,” will usually be placed around the tooth to keep it dry. Next, the dentist will create a very small hole in the top portion of the tooth using a small dental tool to access the infected pulp. They may also use a small file to shape the inner chamber of the tooth to better allow the infected pulp to be cleaned out or washed away with water. Sometimes an antimicrobial solution is used in the chamber to kill off any remaining bacteria and reduce the risk of future infection. 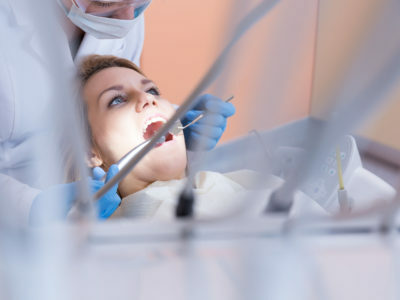 The dentist will then fill the root with a rubber-like material and close the opening in the tooth with a temporary filling until a custom crown is ready. Once the root canal is finished, a special composite filling will be placed in the center of the tooth and a crown will be placed on the outside of the tooth. It’s extremely important to invest in the final restoration of the tooth. Without the proper protection of a crown, the tooth is susceptible to future infection. 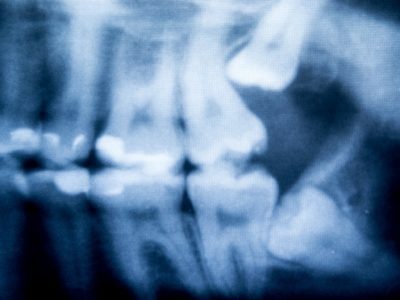 A follow-up appointment and x-ray may be necessary to ensure that all infected material has been successfully removed from the root of the tooth. With the proper care and attention to dental health, a tooth treated by a root canal can stay healthy for the rest of a patient’s life. Think You Might Have A Root Canal? Contact our office today to set up an appointment and get examined by a dental professional.